The advent of the Internet has given users access to resources and attractions they would not have been exposed to 20 years ago. From online shopping to the streaming of movies, the ease in which consumers can make informed choices and purchase products from all around the globe is unprecedented. However, as the simplicity of access increases, the ability to exploit often follows the same trajectory. We’ve all heard of the Nigerian scam artists that swindle unsuspecting Web-surfers out of their hard earned life-savings; and the world of online gambling is no different. If you are unaware of the dangers of what is out there, a harmless flutter can turn into a serious loss of funds if you are not acutely attentive to not only the tell-tale signs, but the main offenders of such behaviour. This guide will inform you of the sites to avoid as well as a comprehensive summation as to why they’ve been blacklisted. This website has been notorious for offering bonus bets to customers who deposit a certain amount of money, but then refusing to pay after win, citing an ‘abuse of our generous bonus system’. This practice is called ‘bonus baiting’, which refers to a company offering inducements and incentives to players to attract them to the website, then making it very hard to extract the funds if a successful wager has been made. A lack of adequate customer service, coupled with confiscation of bonus betting winnings makes this site a no-go. E-Casino365 is an online casino site that has had multiple issues with users not receiving payments for winnings. The company has blamed the issues on server malfunctions, but irrespective of software concerns, players should never have to be apprehensive when it comes to withdrawing their funds. There have also been reports that E-Casino365 has moved money in and out of customers’ accounts without consultation or consent. E-Casino365 is site that should be avoided. BetMotion’s problems have arisen from a lack of communication with customers, as well as a reluctance to pay people money they are rightfully owed. 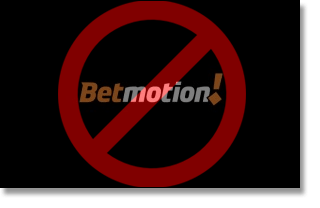 BetMotion refuses to acknowledge complaints from consumers, and makes it very hard for those who have had considerable amounts of money won through the site to claim their winnings. There are also cases of players being unable to withdraw funds, with a lack of authenticity cited even with all the requisite documentation and identification provided. Give BetMotion a miss. LandmarkBingo.co.uk has had numerous complaints from all around the Internet of players having their wins confiscated on dubious grounds. The site has falsely claimed an unspecified term in its conditions states it can refuse winnings to a customer it deems has acted inappropriately. To compound this, the customer service is non-responsive, and the site has refused to close customer’s accounts upon request; a definite red-flag. Given this, prospective punters should put a line directly through Landmark Bingo. This site is notorious for not paying out winnings. 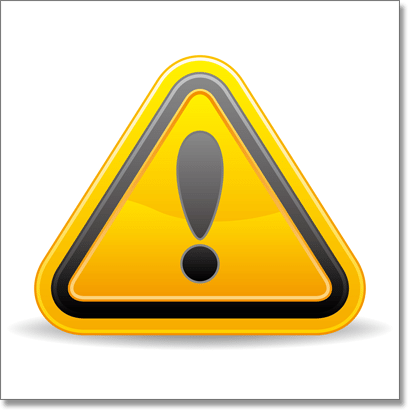 Customers have reported trouble with this site after winning a significant amount of money, and subsequently trying to withdraw the funds. DollaroPoker makes unreasonable demands of the customers, telling them to withdraw their funds incrementally, rather than taking all their money out at one time. This is something not expressly written into the real money website’s terms and conditions. It is not all doom and gloom in the world of online gambling however, with many reputable sites giving prospective punters plenty of opportunity to see if luck is on their side. Each of the below endorsed sites can be accessed on your PC and Mac computers, mobiles, tablets and even Smart TVs. Becoming one of the world’s most popular online casino websites does not happen by accident. 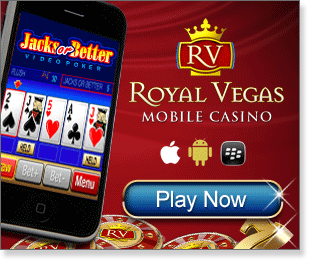 Royal Vegas Casino has a vast selection of games to choose from (over 600), live dealer titles, as well as online and offline support, fantastic customer service and wonderful incentives, so it is no wonder Royal Vegas Casino continues to be one of the trend-setters in online gaming. A casino targeting the Aussie market is something we have been crying out for, and luckily Casino-Mate has it in spades! Also offering in excess of 600 real money (and practice play) games, the sites provides gaming information and the latest news from the world of online and offline casinos. Casino-Mate delivers to Aussie punters exactly what they are looking for. A no-download, instant play and sleek interface, and an unlimited matched deposit bonus are two key features which give G’day Casino a great reputation among online players. Play exclusive games such as TVP Poker (also known as 3D Video Poker) where you bet on four players facing off against each other in rounds of Texas Hold’em. Looking for something new in the world of online gaming? Look no further than House of Jack Casino! Offering an enormous amount of deposit options, terrific customer service and boasting some of the most up-to-date technology the online gaming community has to offer. It is not hard to see why House of Jack is one of the fastest growing sites in the industry. Follow these simple rules when selecting where to place your hard earned cash, and there is no question your experience will be exponentially more enjoyable after making an informed decision. For an online casino you can trust, we recommend Raging Bull Casino as our top-rated casino site for players from United States, which has some excellent welcome bonuses available for new players along with a great range of online slots and other real money games. Happy punting!